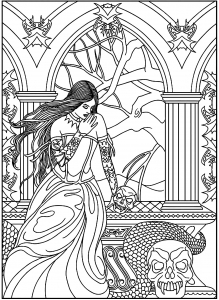 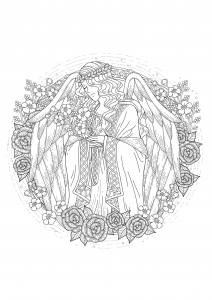 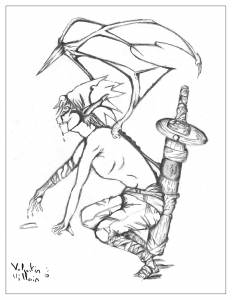 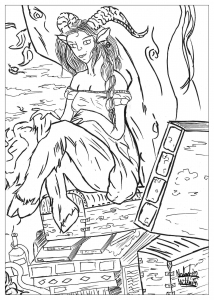 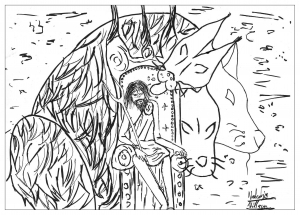 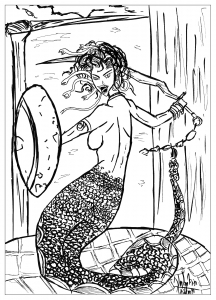 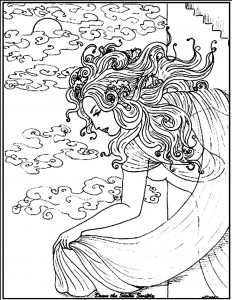 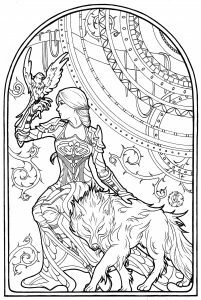 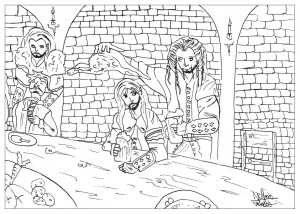 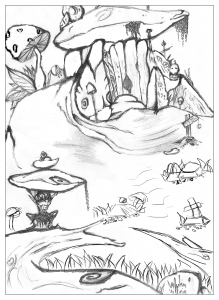 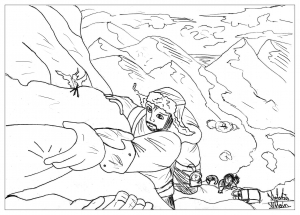 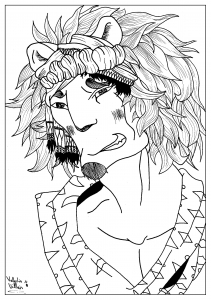 We refer of course to werewolves and vampires, Dragons, witches, but also a lot other imaginary creatures and more or less terrifying, that you can now find in these few difficult coloring pages for adults. 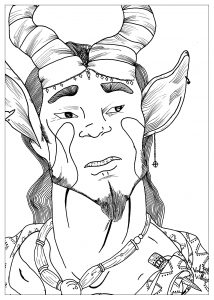 Don't you think his evil smile is suspicious? 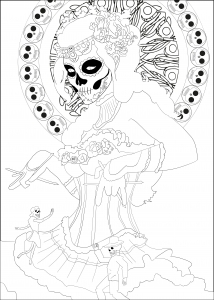 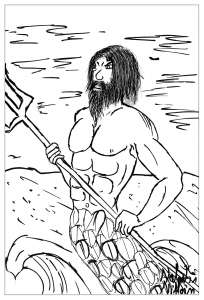 Coloring page inspired by the Mexican celebration "Día de los Muertos"
Poseidon, the god of sea and ocean in a coloring page.